What is an annulment of a bankruptcy order? What is the effect of the annulment of a bankruptcy order? What is discharge from bankruptcy? This is a procedure which cancels your bankruptcy order. An order of annulment can only be made by the court. you have reached an agreement called an “individual voluntary arrangement” with your creditors to repay all or part of your debts. soon after the bankruptcy hearing: the fees and expenses of bankruptcy will have to be paid. The court will decide who should pay them when it considers your application. the Official Receiver or the trustee will send a report to the court to confirm that your debts have been paid or adequate security has been given to creditors. The report will also comment on your conduct in the bankruptcy. application to annul the bankruptcy order may be made by the supervisor of your voluntary arrangement, or you may make that application yourself. The application should be made using the same procedure as applications where the bankruptcy order should not have been made, except that the affidavit or a witness statement verified by a statement of truth accompanying the application should state that an voluntary arrangement has been approved by your creditors as the grounds on which the application is being made. Yes. You should go to the Official Receiver’s office and provide any information you are asked for. 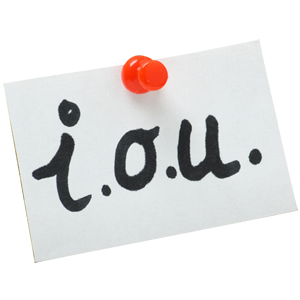 The court might not annul the bankruptcy order until the Official Receiver confirms that you have done so. Yes, but you must act immediately. If you have applied, or you think you will be able to apply, for an annulment, you may be able to apply to the court for a “stay of advertisement”. But this should be done at once. You should telephone the court and state that you wish to apply for a stay. You should also inform the Official Receiver that you are making this application. The Official Receiver must advertise the bankruptcy order in a newspaper and in “The London Gazette” (an official publication which contains legal notices). These actions can only be stopped by a court order. You will revert to your pre-bankruptcy status. Disposals of your property by the Official Receiver and the trustee will remain valid and will not be reversed. Any other assets will be returned. You will be liable for any of your debts that have not been paid in the bankruptcy. The Insolvency Service’s Individual Insolvency Register - The register which can be searched by post, fax or in person at your local official receiver’s office, records all bankruptcies in England and Wales. If a bankruptcy order is cancelled because the debts have been paid or a voluntary arrangement has been approved, the record of the order will be removed from the register two years after the date of cancellation. If a bankruptcy order has been cancelled on the grounds that it ought not to have been made, or a voluntary arrangement has been revoked, the record will be removed from the register immediately. HM Land Registry - bankruptcy petitions and orders are registered at the Land Charges Department of HM Land Registry. The order of annulment can say that any registration of the petition or order at the Land Charges Department should be cancelled - you should ask the court to include it in the order. The order will also say who should contact the Land Charges Department to ask for cancellation - this will usually be for you to do. The contact point is The Superintendent, Land Charges Department, Drakes Hill Court, Burrington Way, Plymouth PL5 3LP, telephone 01752 636000. If you own property which is registered in your sole name, a creditor’s notice (to protect the rights of creditors) and a bankruptcy inhibition (to prevent dealings with the property) may also have been registered against the title to the property. If the property is registered in joint names, a caution (against dealings) may have been registered against the title. You can apply in writing to the Land Registry office which serves your area to have these entries removed - in the case of caution, the Land Registry will have to serve notice on the Official Receiver or the trustee. Please enclose a copy of the order of annulment and, if possible, give the registered title number of the property. The Official Receiver does not send any form of notice to credit reference agencies. The agencies pick up information from other sources such as advertisements of bankruptcies in newspapers, “The London Gazette” and the Register of County Court Judgments. If no advertisement of your discharge from bankruptcy or the annulment of the bankruptcy order is made, separate information will have to be provided to credit reference agencies to amend their records. Where a stay of advertisement has been granted after the bankruptcy order has been advertised, separate information will have to be provided to credit reference agencies to amend their records. even if you have obtained a stay of advertisement, the Official Receiver will need to notify your creditors, bank, building society and others you have had dealings with of the bankruptcy. He or she will also notify them if the bankruptcy is annulled. What is “discharge from bankruptcy”? It is a process which frees you from the restrictions of bankruptcy and releases you from most of the debts you owed at the date the bankruptcy order was made against you. Our panel of specialists can quickly advise you on what to do if you are considering going bankrupt or would like your bankruptcy annulled. Simply call the team FREE on 0800 368 8133.